Only 16 GB of RAM and a high-end graphics card can keep the game from dropping frames. Another big-budget game launch, another tale of woe for PC gamers. This time, the culprit is Activision’s Call of Duty: Black Ops III, which reportedly suffers from serious stuttering and stability problems on perfectly capable PCs. 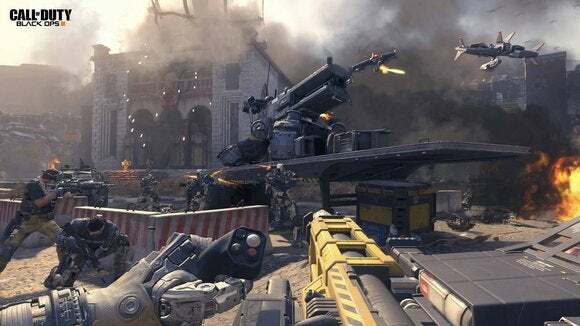 The game’s Steam listing is now flooded with negative reviews from affected players, and developer Treyarch has acknowledged the issues, saying they occur on certain Intel Core i5 CPUs. A report by TechPowerUp claims that the game isn’t properly dealing with system and video memory. On a system with a GeForce GTX 980 Ti graphics card and 12GB of RAM, Black Ops III maxed out all available system memory—approximately 10GB—that wasn’t occupied by the operating system and lightweight tasks. Swapping in 16GB of RAM eliminated the stutters, as did installing a a GTX Titan X graphics card, which has double the video memory of the GTX 980 Ti, at 12GB. The higher-end graphics card apparently reduced the game’s RAM usage, allowing the game to run smoothly with 12GB of system memory in place. Obviously, Activision isn’t expecting every player to have a top-of-the-line graphics card and oodles of RAM. The official minimum system requirements call for just 6GB of RAM and either a GeForce GTX 470 or AMD Radeon HD 6970 graphics card, both with 1GB of video memory. Treyarch says it’s working on a solution now. In the meantime, some players—but not all—have reported success with this fix posted on Reddit. It involves going to the game’s install directory, opening the “players” folder and modifying the config.ini file. There should be a line that reads //Thread count for handling the job queue WorkerThreads =”4”. Changing the 4 to a 2 might alleviate the stuttering problems for now. TreyArch also suggests enabling Vsync and setting the frames per second cap just below the monitor’s refresh rate. Why this matters: Given that most players didn’t have issues during the Black Ops III beta, presumably this foul-up won’t be on the scale of Batman: Arkham Knight. That game’s PC port was so broken that publisher Warner Bros. ended up temporarily stopping sales and offering refunds. Still, it’s another instance of a highly-anticipated game failing to launch smoothly for PC gamers, joining the likes of Assassin’s Creed: Unity, Mortal Kombat X, and Dragon Age: Inquisition.